Brrrrr!! It’s February and it’s cold outside. Colder than recent years past. And we all know what that means. Higher energy bills. How are you going to conserve energy? Are you dreading this month’s electricity bill? Are you keeping your thermostat lower than you prefer to delay your next heating oil delivery? No matter where you live in the United States, this winter has been a rough one. People across the country are experiencing record low temps and record high bills. BillCutterz helps keep your bills lower by negotiating your rates directly with your utility companies, but there are things you can do at home that will conserve energy — both electricity and heating oil — and lower your bill even further. 1. Turn your heat down. If you can get used to 2 degrees colder by wearing more layers inside your home, you could potentially save several hundred dollars per year on heating it, depending on the size and how cold the outside temperature is. 2. Unplug all devices. Computers, monitors, faxes, printers, iPhones or other smartphones, iPads, speaker docks, chargers, digital cameras, digital picture frames, X-Box, Wii, or Playstation consoles, Apple TVs, ROKUs. Even cable boxes! Anything that plugs in is adding to your home’s energy drain. 3. Unplug your television, stereo, DVD players, CD players, and any other entertainment system components when you are away from home. It’s best if you leave them unplugged as much as possible because these large electronics use a significant amount of electricity, even when turned off. And don’t forget that a flat-screen uses twice the electricity of the older tube TVs. 4. Unplug small appliances such as coffee makers, microwaves, toaster ovens, blenders, and any other kitchen gadget that requires electricity, even ones you use regularly. Get into the habit of plugging them in only during use. 5. Replace incandescent light bulbs with new, energy-efficient CFL or LED lights. They last longer and use less electricity. 6. Make sure your dishwasher is full before running it. And don’t hand wash when you don’t have to. It uses more water than an energy-efficient dishwasher. If you want to go a step further, turn off the dishwasher when it reaches the heating cycle and let them air dry. 7. Insulate your hot water heater tank and reduce the temperature a few degrees. 8. Consider installing a timer that turns the water heater off while you’re on vacation — or when you’re at work during the day or overnight while everyone is asleep. You can set the timer to turn the heat back on in time for your morning shower. For the times your heater is operating, an energy-efficient shower head will use less hot water. 9. Wash your hands with cold water, instead of hot. Every time you turn on the hot water faucet, it triggers the water heating unit. 10. Clean your furnace filter. It allows the heater to work more efficiently. This should be done several times during each winter, especially if you live in a cold weather climate. Keeping the filter clean could increase efficiency 20-50%. 11. Cook with a toaster oven, pressure cooker, or microwave when possible. A toaster oven uses only a fraction of the electricity of a large oven. If you’re in the market for a new oven, look into the Halogen ovens, which can roast a chicken in 30 minutes. 12. Seal your home. Caulk around any drafty windows and close the fireplace flue when it’s not in use. Or better yet, have your chimney professionally capped. 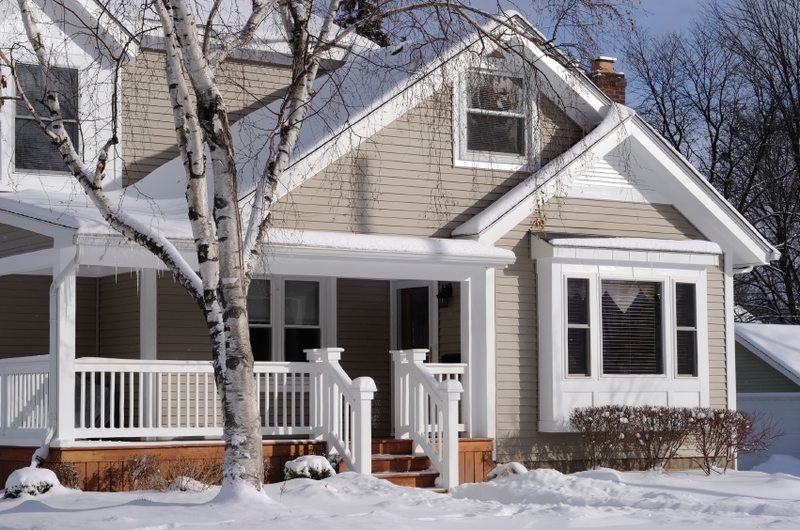 Keeping cold air outside helps ensure your heater doesn’t have to work overtime to counteract the cold air coming in. 13. Use draft stoppers throughout your home, especially if you have a zoned heating system. Putting a towel or draft stopper at the doors of bedrooms at night will prevent heat loss into other areas of the house you’re not currently occupying. 14. Only use the clothes dryer for drying heavy items, such as towels. Hang light clothing to dry inside the house. Clothes will usually be dry by the next morning, and you’ve just saved an hour of electricity per load. If you need clothes to dry faster, only dry for half the cycle and let them air dry for the rest. WOW, I didn’t even realize that cleaning the furnace filter would have that kind of effect. Great tips!